Fans of car racing will be thrilled with all the speed, excitement and passion of this slot. Step on the pedal, smell the gasoline, shift gears and feel the adrenaline rush of burning rubber! Race to the chequered flag as fast as possible for that exhilarating win. Green Light is a 5 Reel, 20 Payline Progressive Video Slot. 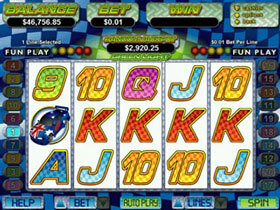 Featuring Free Spins, Multiplier, Wild and Scatter Symbols. 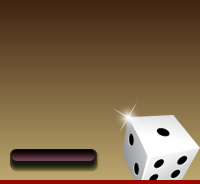 Start from 0.01 to 5.00 per line, the maximum bet can be up to $100 per spin. The Driver replaces any other symbol except the Scatter to help form a winning combination. All winnings will be doubled when The Driver appears on the reels. Land 3 or more Green Lights and get up to 25 Free Spins. When the Green Light appears a feature will be opened on the screen. Players must pick one of the 5 cars that appear, watch the race and depending on the place the car comes in free spins will be awarded. During the free spins all wins will be doubled. The Random Jackpot can be won at the end of any spin. All jackpots won will get added to other winnings. This slot promises action filled entertainment with huge awards! Definitely a game for those players who are passionate about cars and racing.